Da Roald Engelbregt Gravning Amundsen (* 16. 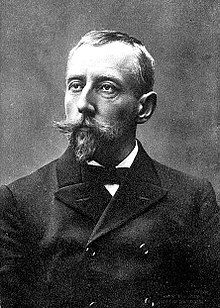 Juli 1872 z Borge, heit Fredrikstad, Norwegen; † vamuatli 18. Juni 1928 in da Arktis in da Nachn vo da Beaninsl) wor a norwegischa Polarfoascha. Ea wor da easchde Mensch am Sidpoi und meglichaweis aa da easchde am Noadpoi (es hod Foascha gem, de gmoant hom, se worn friaa do; se homs oba nia ned beleng kina). Ea hod aa ois easchda de Noadwestpassage entdeckt. Anno 1928 is da Amundsen bei am Rettungsflug fian italienischen Polarfoascha Umberto Nobile ums Lem kema. Des Wrack vo seim Flugzeig is nia ned gfundn worn, desweng woass ma aa ned so genau, wann a gstoam is. Nordvestpassagen, 2-vols, 1907. Translated as The North-West Passage: Being the Record of a Voyage of Exploration of the ship "Gjøa" 1903–1907, 1908. 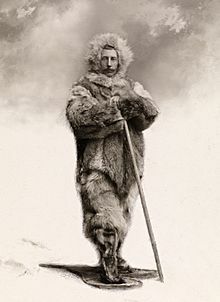 Gjennem luften til 88° Nord (by Roald Amundsen, Lincoln Ellsworth and other members of the expedition, 1925). Translated as Our Polar Flight: The Amundsen-Ellsworth Polar Flight, 1925; also as My Polar Flight, 1925. Den første flukt over polhavet, with Lincoln Ellsworth and others, 1926. Translated as The First Flight Across the Polar Sea, 1927; also as The First Crossing of the Polar Sea, 1927. Mitt liv som polarforsker, 1927. Translated as My Life as an Explorer, 1927. De Seitn is zletzt am 20. Oktoba 2017 um 14:24 gändert worn.